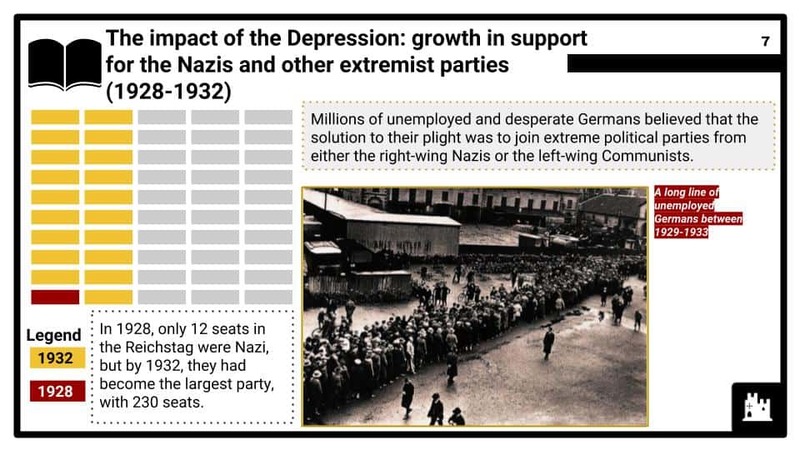 This Period Study module covers option AB of the AQA 9-1 GCSE History topic "Germany, 1890-1945: Democracy and dictatorship". 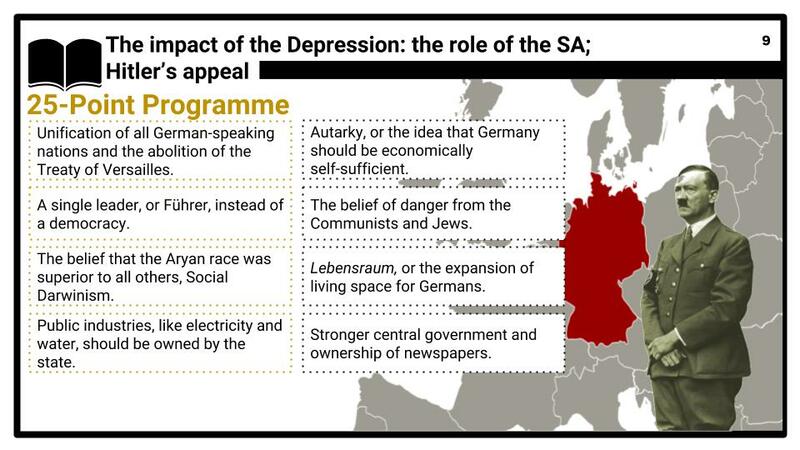 This module focuses on the development of Germany at the turn of the 20th century. It explores the turbulent period of change from democracy during the Weimar Republic era to that of dictatorship during the rise to power and eventual fall of Nazism. Topics covered include the political, economic and cultural environments and their aspects under the two different political systems. Key individuals and policies are also examined to frame and contextualise the changes that occurred. The module is divided into three parts, which are detailed below and are aligned with the specifications of the AQA handbook. 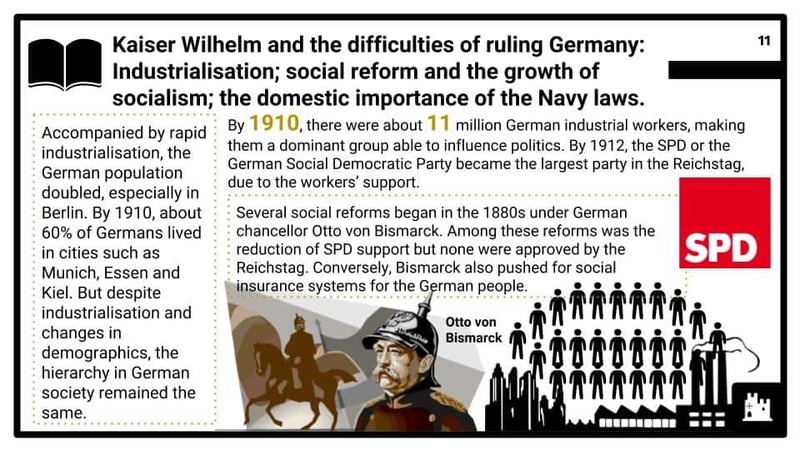 Kaiser Wilhelm II and the difficulties of ruling Germany: the growth of parliamentary government; the influence of Prussian militarism; industrialisation; social reform and the growth of socialism; the domestic importance of the Navy Laws. 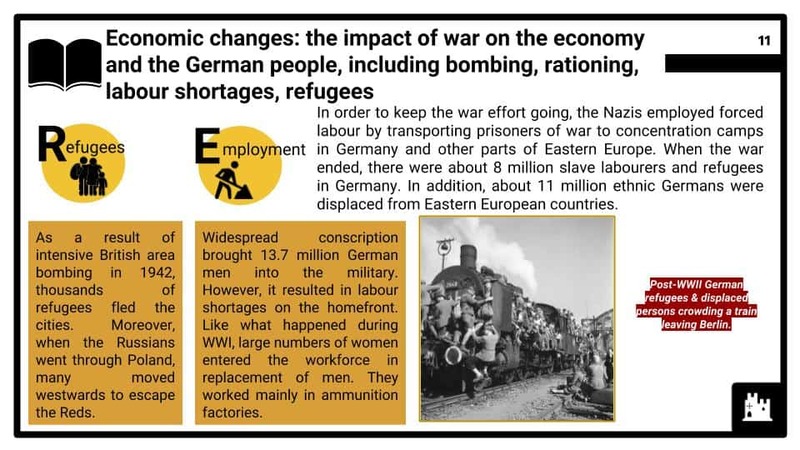 The impact of WWI: war weariness, economic problems; defeat; the end of the monarchy; post-war problems including reparations, the occupation of the Ruhr and hyperinflation. Each module is accompanied by three evaluation assignments and a homework assignment as well as an assessment quiz and answer sheet.